The Byzantine monastery of Dafni, inscribed in the world heritage list of UNESCO (1990), is one of the most important monuments of middle Byzantine period, famous worldwide for the mural mosaics of its Katholikon. Being constructed in a seismic area, the monastery was affected throughout its history by many earthquakes that caused damages to the bearing structure and the mural mosaics. Due to severe damage provoked by the 1999 Athens earthquake, large scale structural restoration and conservation interventions were necessary to protect this world heritage monument. 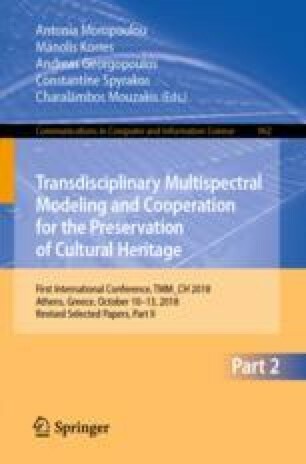 In this paper a concise synopsis of the overall structural restoration project of the Katholikon will be presented, together with a brief description of the investigations, research and novel techniques used and the 3D digital modelling of the monument. The variety and complexity of the problems and the importance of a holistic approach and of synchronized transdisciplinary efforts at various levels, in order to find the optimum solutions will be highlighted. A. Miltiadou-Fezans—Assistant Professor, National Technical University of Athens. N. Delinikolas—Architect, Head in honour of the Section of Studies on Byzantine Monuments, Hellenic Ministry of Culture and Sports. The Directorate for the Restoration of Byzantine and Post-byzantine Monuments (DRBPM) was responsible for the structural restoration studies and works. The Directorate for the Conservation of Ancient and Modern Monuments (DCAMM) was responsible for the mural mosaics conservation works. The 1st Ephorate of Byzantine Antiquities (1st EBA) was responsible for the overall surveillance of the works. The Directorate for Technical Research on Restoration (DTRR) was responsible for research and investigation works and in situ quality control of grouting application. All projects were co-funded by European Regional Development Fund (ERDF) and National Funds, in the framework of the 2nd and 3rd Community Support Framework and the “National Strategic Reference Framework-NSRF” Operational Program.